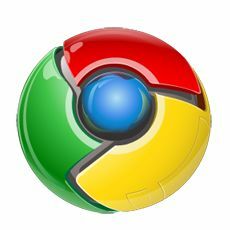 While we had shared the tips on how to install flash player in Google Chrome, people all over were having many bugs and questions about that trick, and so here is an easier way to install the same Adobe flash player for Google chrome. I had tried this one in the latest Chrome version and it worked perfectly, so sharing the tips with my readers. Go to this page or use this Alternate Working link to Download Flash Player. This will download the latest and current flash player installer for your browsers. Then install the flash player and you would see the window which asks you to close all the browsers that are open. 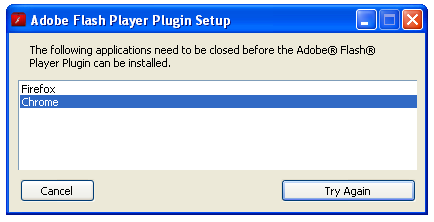 As this is a common flash player from Adobe for all the browsers in the computer, the firefox browser would also be altered and updated with the latest flash player which you just downloaded. After you have closed all the browsers as mentioned, the flash player will be installed and you can then open Google chrome and check for the Youtube videos if they are opening. I’m sure they would. It did with my browser in Windows computer. i noticed on 9th there were around 8 new posts on ur blog and daily around 2 to 3 posts regularly … is it ok for search engines ? Chrome is a great browser but it hardly works on my system. After some time it hangs and has to be closed. I have tried to load the new flash player as suggested above but nothing happened. My blog do not use any flash but still the browser hangs. I am using the latest version of chrome on Windows XP with SP-2. There are no pointers to the web for this issue. Can you guide to me some resource for my problem. I dont have firefox on this computer! I instold googls chrome insted. and so I will erace it and instol firefox!!! thenk you very much! if i open any website m not getting the pictures clearly ,i tried by using all browsers including google chrome but there is no use but adobe flash player is there in my system n i tried by reinstalling the flashplayer also but m not getting the pictures clearly…mine z vista..pls help me..
I’ve tried everything mentioned above (I have vista) but flash player still will not work. Youtube has always worked but none of the facebook apps do that use flash player. It was very good. Google Chrome doesn’t have any meaning without this plugin! Once i get to the “close browser to download” pop up, i do so, but then it becomes un responsive when i hit “try again” any idea whats going on? It does not work. I have downloaded it about 10 times and it does not work. Google browser is fast but without a flashplayer??????? Just go to http://get.adobe.com/flashplayer/ , download and install the flash player and restart google chrome. My virus protection detected malware when downloading this file!